I’m on a color kick, my friends, with these funfetti white chocolate cookies (if you missed my unicorn marshmallow popcorn, check it out). It seems to be an effective antidote to the lingering winter, although today is pleasantly spring-like here in Ohio. Enough about the weather. Let’s get down to business. I have been creating a list of my current favorite TV shows that I’ve wanted to tell you about. We recently got Netflix and it’s like a weird drug that I cannot quit. Before Netflix, I was not super into TV recently, with the exception of a few shows like Life in Pieces, It’s Always Sunny in Philadelphia and well…that’s kind of about it. I’m majorly over The Walking Dead, Modern Family, and even The Goldbergs (although it pains me to admit that). I got on a Gilmore Girls kick a few months ago, borrowing my sister-in-law’s DVD’s and binging them. I really enjoyed it, however, I think toward the end I needed to finish as more of a principal as opposed to being super into it anymore. Rory and Logan were insanely tiresome. How can you love a show when you want to smack the main character all. the. time? But I guess Lorelai was more of the main character and for the most part, I loved her. Le sigh. I LOVE LOVE Grace and Frankie and just couldn’t watch them fast enough. I originally started watching it because June Diane Raphael is in it and I love her from the podcast, How Did This Get Made (My podcast picks will be in another post). 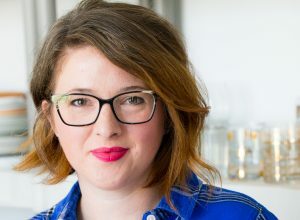 And honestly, she is stunning and hilarious and one of my favorite parts of that show. I just wish they gave her more screen time. My favorite character on the show, however, is Frankie (played by Lily Tomlin). It’s rare there is a Frankie scene that I don’t laugh out loud at. She is flawless in her delivery and facial expressions, it’s amazing! The show is created in part by Marta Kauffman, and if you know me at all, you know my deep, undying love of Friends. How could this show not be a winner? Another Netflix original that is so clever and hilarious is Unbreakable Kimmy Schmidt. It was created by Tina Fey and stars Ellie Kemper (of the Office), Tituss Burgess, Carol Kane, and Jane Krakowski. Jon Hamm guest stars in a few episodes and his character is so ridiculous it’s just perfect. Also, the theme song gets stuck in my head CONSTANTLY. Seriously, watch this show! As you can guess from the title of this show, we are taking a hard shift from comedy to drama. I’m not sure if this is a Netflix original or not, but I just finished the entire first and second seasons of this show and it was extremely gripping. There were so many plot twists that it bordered on excessive, but they somehow managed to bring it back around and keep me into it. If you want to get deep into a show that explores and investigates one murder case for an extended period of time, definitely give this a try. I started season 3 and it looks like they are starting a new case but I haven’t gotten as into it as the first two seasons. Kind of like I felt about season 1 vs. season two of the podcast, Serial. More about podcasts a different day! One last drama for this roundup. Black Mirror is fascinating because each episode is a separate one-off story (so no need to watch them in order). Each story is an intense look and commentary on how our cultures obsession with technology will be our downfall. Most episodes take place in an unidentified distance in the future and leave you chilled at the ending revelations. Seriously, this show is incredibly gripping, but also very disturbing at times. In other words, I love it! 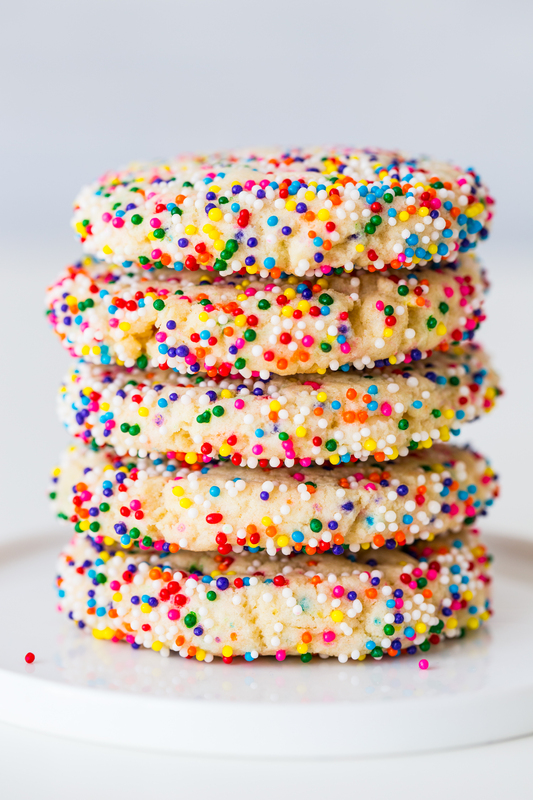 You are probably wondering what TV has to do with these funfetti white chocolate cookies? My answer: not a whole lot but I love them both. 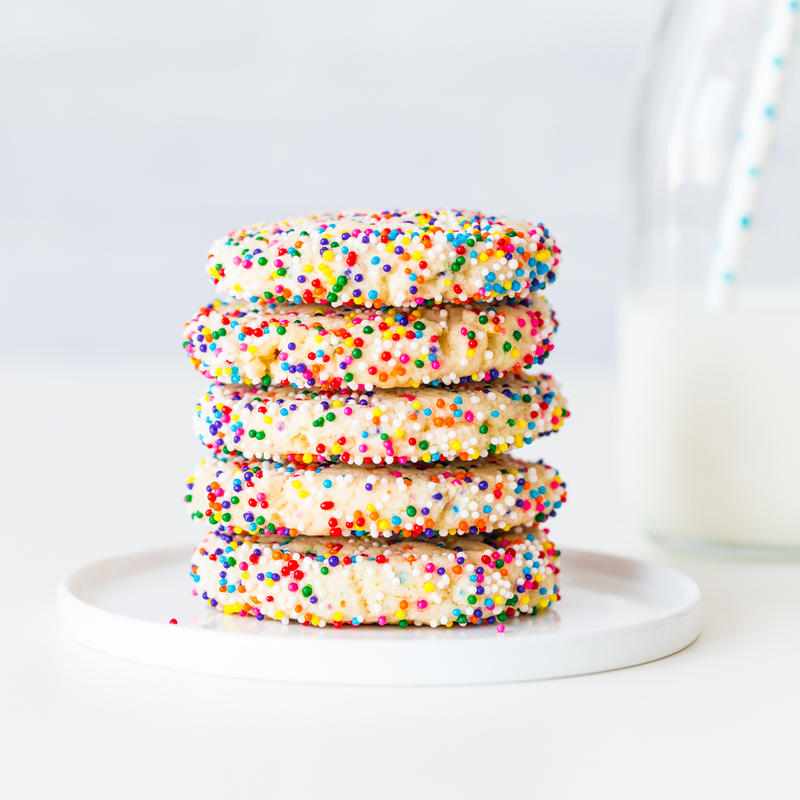 So, my prescription for a happy weekend for you is to whip up a batch of these insanely happy funfetti white chocolate cookies and snuggle in for some Netflix marathons. You won’t be sorry. Also, if you watch any of these shows already or give them a try, I’d LOVE to hear what you think! Preheat oven to 375°F. Line baking sheet with parchment paper or silicone baking mat and set aside. In the bowl of a stand mixer, beat butter and cream cheese on medium/high until fluffy; about 2 minutes. Add in both sugars and beat on high speed until mixture is light and creamy; about 3 more minutes. Beat in eggs and vanilla extract until completed incorporated. Set aside. In a large bowl, whisk together flour, baking powder, baking soda, and kosher salt. With the mixer on low, slowly add dry ingredients into butter mixture. Increase speed to medium until just incorporated. Add in white chocolate chips and 2 Tablespoons of sprinkles. Mix until evenly distributed. Don't over mix! 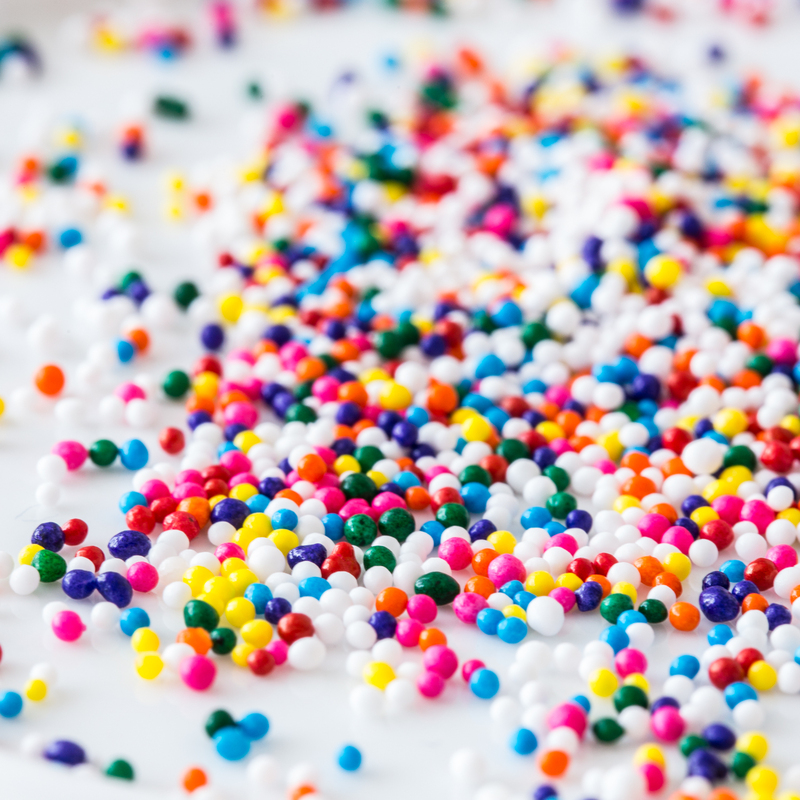 Place remaining sprinkles into a shallow dish. Use a small cookie scoop (1 1/2 Tablespoons) to scoop dough into the palm of your hand. Roll dough into a ball and roll in sprinkles to coat. Place dough balls on prepared baking sheets. Use the bottom of a juice glass to press dough into flattened discs, about 1/2 inch thick. Repeat with remaining dough, placing 12 cookies on each baking sheet. Bake for 9-10 minutes. Allow cookies to cool. 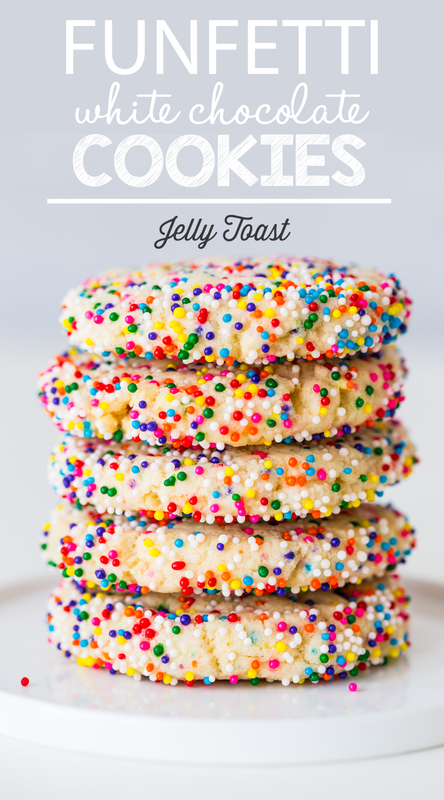 Store cookies in an air tight container. Can’t wait to try the cookies! You should watch Breaking Bad, Better Call Saul, Orange is the New Black, and New Girl (the early seasons are the best). So good! So. I am obsessed with the cookies FORREAL. And also Frankie and Grace. It’s the BEST!! I flew through The Killing and am now going to add in Black Mirror because I need some more drama in my life. yesss!! I keep needing to find more shows because I keep binging, lol. Any suggestions for more?